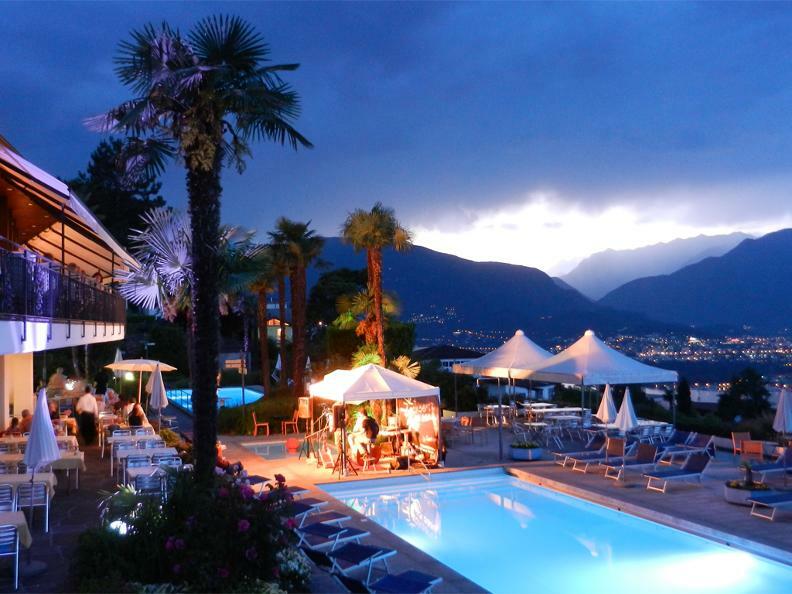 La Campagnola has become an important reference point for good music in Ticino. 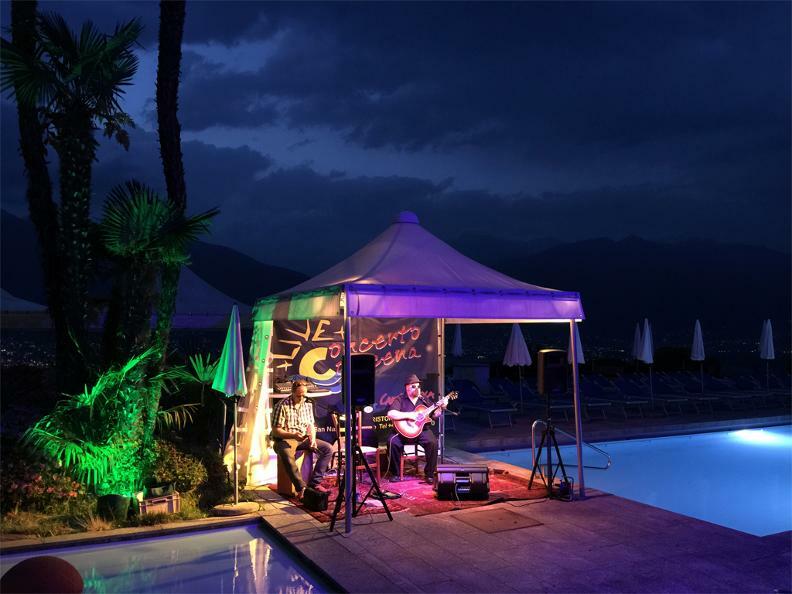 Live concerts with international artists are on the program during the whole summer season, which has attracted music lovers from all over Switzerland for many years now. 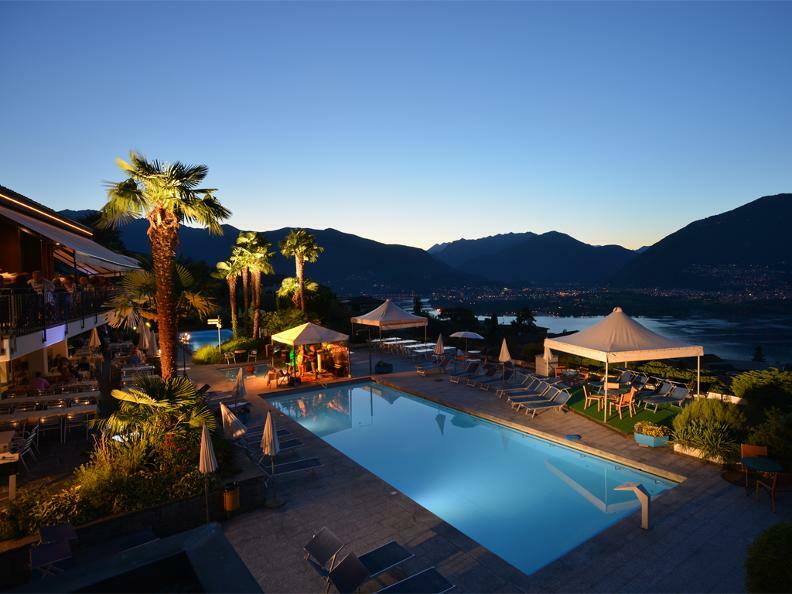 What has made these events so exceptional is the high quality of music, the beautiful location with its pool terrace and a fantastic view over the Lago Maggiore, Locarno & Ascona and the Southern Alps, a creative and mediterranean food and beverage menu as well as the free entry to all live events.